A brief definition of childhood anxiety and the prevalence of childhood anxiety was introduced in part 1 of this three-part mini-blog series. Part 2 provided a description of the common categories of childhood anxiety. In part 3, the typical symptoms of childhood anxiety and the questions parents should ask to determine if their child may need professional assistance are highlighted. A number of factors can increase a child’s risk of problematic anxiety. 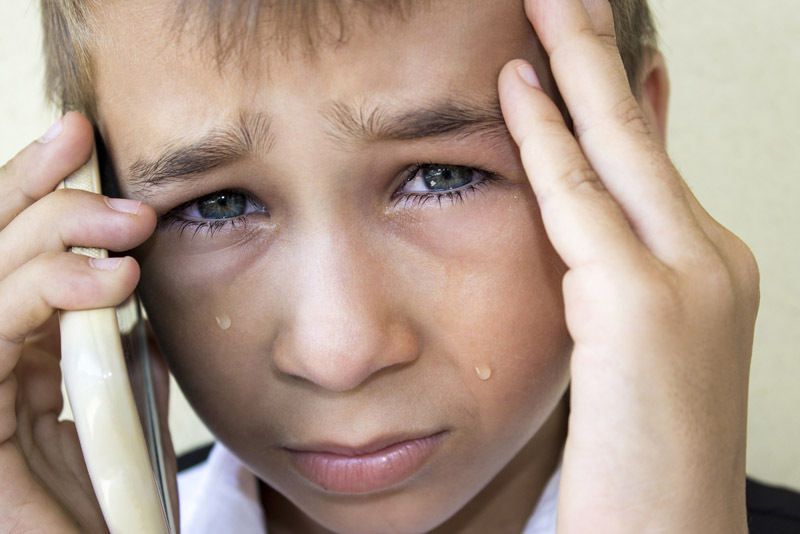 Family stressors such as financial challenges, relocating, and family mental health issues can affect children as they worry about their or their family’s future and safety. Genetics and the biology of the brain can result in a biological vulnerability for anxiety. Temperament (e.g., mood, sensory threshold, distractibility) and personality characteristics (e.g., anxiety sensitivity, self-criticism, dependence) can influence how well a child manages or copes with anxiety. Parenting styles can affect how children learn to experience and process anxiety. Life events (e.g., death, trauma) can alter a child’s sense of security. Is your child experiencing more anxiety, more often, more intensely, for more days, and for longer periods of time than other children of the same age? Is the degree of distress your child experiences unrealistic given his or her age and the nature of the circumstance? Does the distress interfere with your child’s daily life (e.g., school avoidance, failing classes, experiencing conflict with peers and family, unable to make friends)? Is your child unable to recover from distress when the circumstance, event, or trigger is removed? If your child is experiencing anxiety, take steps to help them cope. Keep in mind that the goal is not to eliminate anxiety, but to help your child manage it. Have a sympathetic ear by listening to what concerns them and how they are feeling. Recognize that the fear is real to your child even if you believe it is an unreasonable fear. Don’t invalidate your child’s fear (e.g., by saying they are “being silly” or to “get over it”). Teach your child how to rate fears using a scale (e.g., 1 – easy to manage fear, 5 – bad fear but can still manage, 10 – I can’t handle it no matter what I try). Teach your child coping strategies (e.g., problem solving, relaxation). Seek a mental health professional if needed. Do you think your child has an anxiety disorder? How is your child’s life being impacted by his or her anxiety? How are you helping or worsening your child’s anxiety? What can you do to help them?